It’s that time of year again. Trees are being dressed, carols are on repeat, and the spirit of goodwill has descended upon us all. We in the UK love Christmas and equally, love spending on presents, food and decorations. In 2016, the amount of yuletide goods bought by UK shoppers came to a whopping £25 billion* and by December 2017, this figure had increased by 1.4%**. Every year, we strive to do more and more to help enter the festive mood and enjoy the holiday period as much as possible. But what happens when you leave preparations to the last minute? The madness ensues. 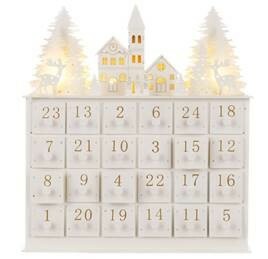 Don’t fall victim to the last-minute dash and panic buying. 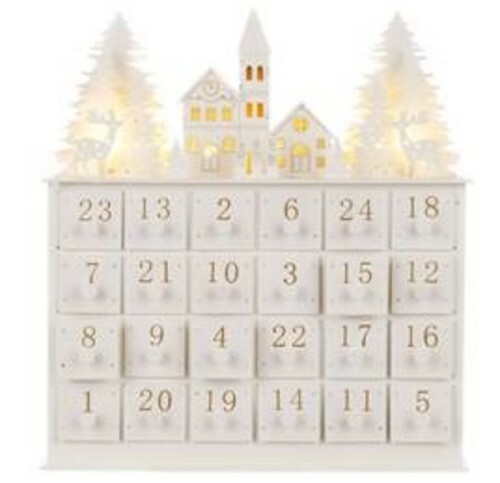 To help you get your Christmas list ticked off, Robert Dyas has prepared the ultimate guide in the run-up to the big day. Take the stress out of both Christmas Eve and Christmas morning and enjoy it all with friends and family. Now all that’s left to do is countdown with anticipation. Christmas Eve can often be the most stressful day of the entire festive season. Last minute presents to wrap, family arriving, and trying to get the children to bed before Father Christmas calls. But starting the day as you mean to go on and getting as much prepped ahead of the next morning can be the key to a relaxing and successful 25th December. The little things can go a long way. Peeling your spuds and chopping the vegetables ahead of the Christmas Day feast can save time and mess. Once everything is sliced and prepped to perfection all you’ll need to worry about is how to cook them. 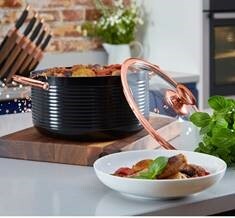 This Tower Linear 24cm Casserole Dish - Black and Rose Gold (£59.99 reduced to £29.99) is the perfect vessel to cook veg or classic one-pot dishes. With a four-litre capacity you’ll easily cater for all your guests and with a black and rose gold finish, your kitchen cupboards will thank you for the attractive addition. It’s also smart enough to act as a centrepiece on the table, if needs be. Make sure you avoid any meat mishaps with the Russell Hobbs 5-Piece Roaster and Rack Set – Black (£29.99 reduced to £14.99). Including a roaster, rack, carving knife, carving fork and a meat thermometer, you can prepare your family feast with ease – whatever delicacy you choose to serve as your centrepiece. Oh, bring us some figgy pudding! Make sure your sweet tooth is satisfied and everyone gets the chance to find the lucky hidden penny with the Mason Cash Pudding Basin (£4.99). Made from durable earthware and chip resistant, this will become a staple for your Christmas puddings, year after year. Laying your table ahead of Christmas lunch ensures a perfectly set environment for you, friends and family to enjoy the feasting. Keep your base covered with this Alfred Franks & Bartlett Snowflake Peva Festive Tablecloth – Silver (£7.99 reduced to £4.99). Ensure your table is kept clean whilst adding some Christmas charm to your meals. For the finishing touch, add a pop of colour with this Round Woven Placemat - Red (£2.29). The Robert Dyas 24-Piece Platinum Dinner Set – White (£59.99 reduced to £39.99) is a classic dining set with a luxurious silver edging, guaranteed to keep your table looking fresh and elegant for Christmas Day meals. Pair with the Charger Plate – Silver (£2.99 reduced to £1.99) and you’ve got a stylish celebration sorted. It’s not Christmas without bubbles. Add some glamour and sparkle to the celebrations with these stunning RCR Oasis 6-Piece Champagne Glasses Set (£69.99 reduced to £19.99). Made from high quality crystal and dishwasher safe, these are the ideal companions to drink your festive fizz from. Too many guests and not enough chairs? Try this Paper Lounge Bench with Felt Tops – White (£84.99) to ensure everyone’s sitting comfortably. Lightweight but strong, with the ability to hold up to 100KG and foldable to save space, the whole family can relax and enjoy the yuletide feasting. Rise and shine, it’s Christmas time! Christmas Day morning to be exact – what could be more special? Make sure you start off the day right and guarantee a dazzling Christmas for everyone. To get you focused and awake for the long day ahead, start your day off with a perfect shot of caffeine with the help of the De'Longhi Dolce Gusto Infinissima Coffee Machine (£99.99 reduced to 49.99). 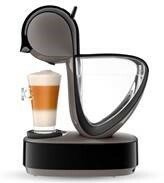 Create shop quality coffee at home and for you and your guests to enjoy in a matter of seconds. How do you like your eggs in the morning? 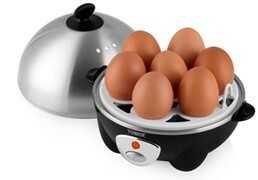 Cook up a storm with this Tower Egg Cooker and Poacher (£14.99) which can cook up to seven eggs at one time so it’s perfect for large family breakfasts. Now the only question is – to poach or to boil? Soldiers anyone? Add the perfect slice of toast with the help of the Swan 4-Slice Retro Toaster – Blue (£74.99) and there you have it – breakfast fit for a king or queen! Presents have been opened, the champagne has popped, and lunch has been served. Now all that’s left to do is unwind and enjoy quality time with friends and family. Stick on your favourite festive flick and snuggle up on the sofa with this Robert Dyas Sherpa Riva Throw – Red (£29.99 reduced to £14.99). Made of polyester, this luxurious throw offers you all the comfort of sumptuous materials yet will both wash and wear well, so you can guarantee a cosy night in, whenever needed. Talking of cosy, why not sink into the Kaikoo Fur Bean Bag – Grey (£43.99)? Perfect in a bedroom or sitting room, this fabulous bean bag is perfect for entertaining come Christmas Day and ideal when you have additional guests over. Sit back and relax! Whilst Christmas is filled with parties and presents, don’t forget that it’s also a time of peace and serenity. This beautiful Gallery All is Calm Cushion (£14.99 reduced to £7.49) will not only add a touch of festivity to your home but also helps to remind you of the seasonal cheer that Christmas time brings with family and friends. Let the Price’s Scented Candle Jar – Mulled Wine (£4.99) fill your home with festive scents this Christmas, creating the perfect atmosphere throughout the house. Don’t forget your four-legged friends! Make sure Rex doesn’t miss out on all of the fun and treat him to a Petface Stripy Dog Bone (£2.99). At 30cm wide, this is the perfect present for any size of pooch, large or small. This press release was distributed by ResponseSource Press Release Wire on behalf of Robert Dyas in the following categories: Children & Teenagers, Men's Interest, Entertainment & Arts, Leisure & Hobbies, Home & Garden, Women's Interest & Beauty, Environment & Nature, Consumer Technology, Media & Marketing, Retail & Fashion, for more information visit https://pressreleasewire.responsesource.com/about.